In the PBX, define which numbers the extensions should react to when you receive calls and which number should be used to make calls. 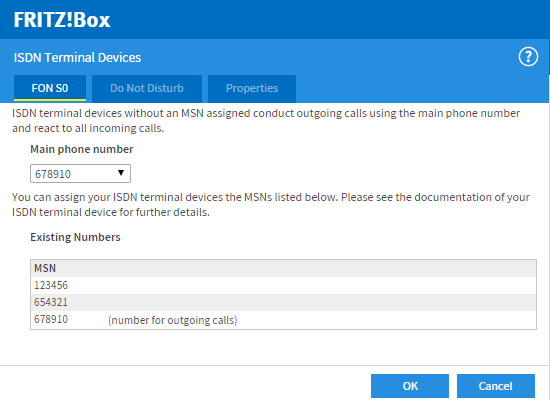 Enter the numbers in the PBX the way they are displayed in the settings for the ISDN PBX in the FRITZ!Box user interface (see fig. ).